It’s been 22 years since Eddie Murphy’s Axel Foley last descended on California high society, shoving bananas into tailpipes and befuddling local judges, Reinhold and otherwise. Now, it’s time to fire up our Moog synethsizers and alert Bronson Pinchot, because it looks like Beverly Hills Cop is finally coming back. Deadline is reporting that Paramount has named Adil El Arbi and Bilall Fallah as the directors of the long-rumored fourth installment in the franchise that helped make Murphy an action-comedy star. The Belgian duo caught the studio’s attention with their gritty gang romance Black, which debuted to strong reviews at last year’s Toronto Film Festival. Presumably, they’ll now apply that same irreverent griminess to a script from Teenage Mutant Ninja Turtles: Out Of The Shadows writers Josh Appelbaum and André Nemec, lead industrialists in the always-lucrative field of mining ’80s nostalgia for cash. 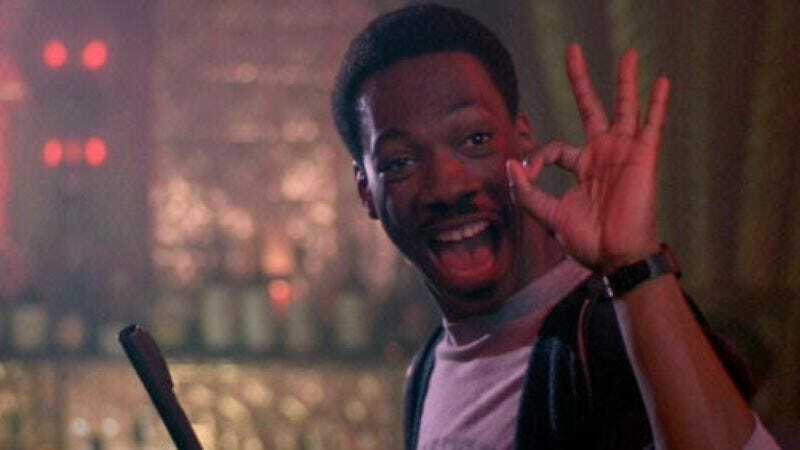 Beverly Hills Cop IV is expected to begin production some time in 2017. Meanwhile, the script apparently focuses on bringing Foley “back to his Detroit origins,” which, if true, suggests the movie might more accurately be titled A Cop Who’s Occasionally Visited Beverly Hills.